Dr. Chakhtoura is the medical officer in the Maternal and Pediatric Infectious Disease Branch at the Eunice Kennedy Shriver National Institute of Child Health and Human Development (NICHD). She joined the NICHD in 2014 and overseas various HIV/AIDS related clinical trials involving women, adolescents, and infants within the International Maternal Pediatric Adolescent AIDS Clinical Trial (IMPAACT) network, as well as, overseas clinical trials related to prevention of HIV transmission and Multipurpose Prevention Technologies (MPTs) within the Microbicide Trials Network (MTN). Her grant portfolio includes PMTCT of HIV, TB and pregnancy, as well HIV and contraception. Most recently, she has been coordinating the efforts on Zika virus infection for the branch. Dr. Chakhtoura received her M.D. from the University of Miami, Miller School of Medicine and her Master of Science in Global health from Duke University. 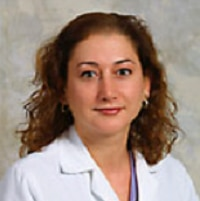 She completed a residency in Obstetrics and Gynecology at Jackson Memorial Hospital and was a fulltime faculty at the University of Miami prior to joining the NICHD; she still holds a volunteer faculty position with the University.